Have you ever spent hours looking for a tool? 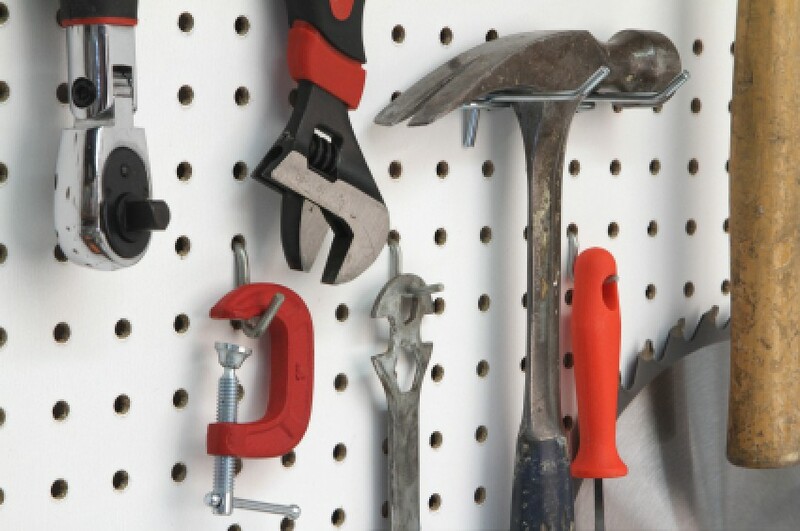 Organizing your tools can make home improvement projects quicker and save you money by avoiding buying duplicate tools. 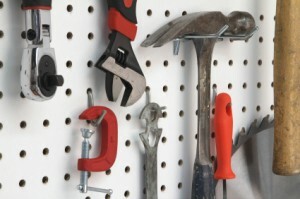 This is a guide about ways to organize your tools so they are easy to find when you need them. If you'll cut the worn fingers off an old work glove and then add two slots to the back of what's left, you'll have a quick, recycled tool holster that you can slip right onto your belt and put into immediate use. Short on space does not present a tool/junk drawer type organizing fiasco. Buy a shoe organizer (fabric made with pockets) and affix to the wall of your laundry room/ mud room. There are so many pockets that organizes your tools, tapes, brushes, nails, twines, wires, extra screws and hardware. With the netted type, it shows you everything at a glance! My husband now thinks I am a genius! I placed all my tools on the pegboard just the way I wanted them. Then I took a magic marker and outlined each tool. No more guessing! 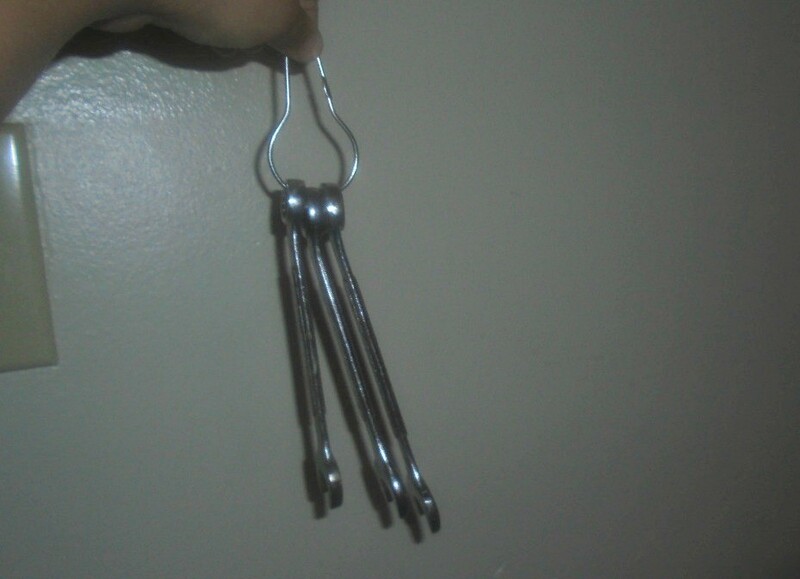 For the kitchen, I have a hanging grid that I store a lot of my kitchen utensils. I couldn't actually outline each one but I did take a picture of them. I framed the picture and found a spot on the grid to hang it. No more "duh, where does this go?" It has been turned out to be a eye catcher for when we have company. Everyone gets a chuckle out of it. Mark your iron tools for easy identification by covering a spot on each one with beeswax or hard tallow. Then scratch your name or initials through the coating with a nail or ice pick, pour nitric acid into the groove and let it stand for a short time. When the acid and wax are removed, the "brand" should be quite visible. Fishing tackle boxes work great for keeping small power tools and their accessories and bits organized. Whenever I see fishing tackle box at a garage sale or rummage sale I grab it. You can uses stencils and spray paint to label the outside of the box. To keep tools that are needed in different locations at our home, I made different color codes for each area.